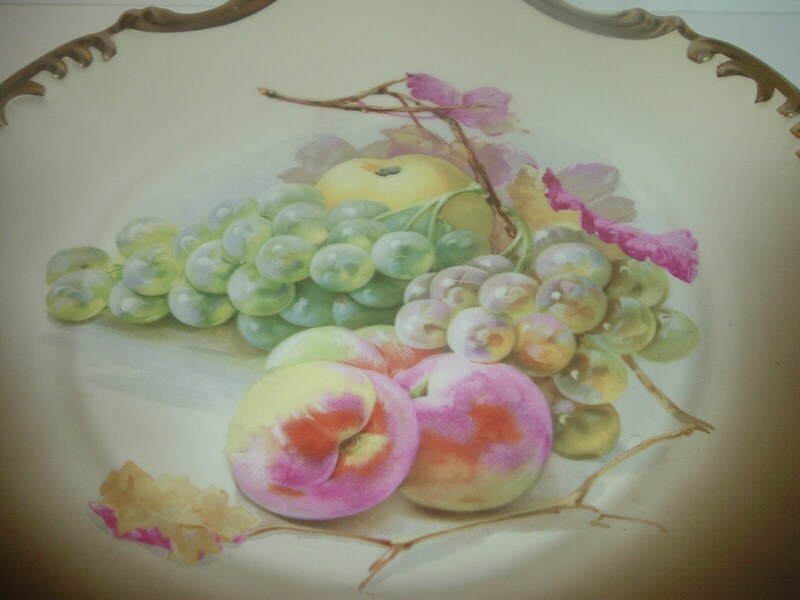 This big Royal Munich fruit motif platter or charger measures approx. 12 5/8" across. 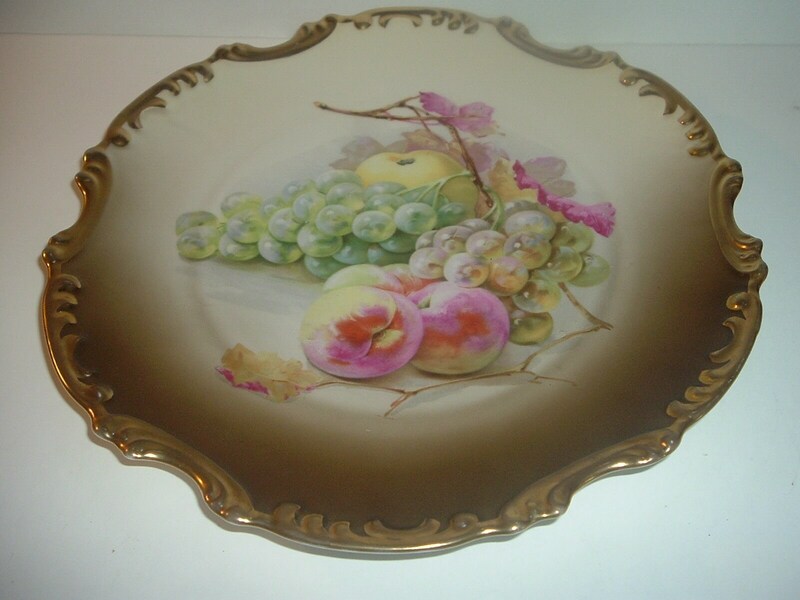 It features a still life fruit decoration on the front side. The background colors shade from brown to ivory. The outer rim is done in handpainted gold. There are no chips or cracks. 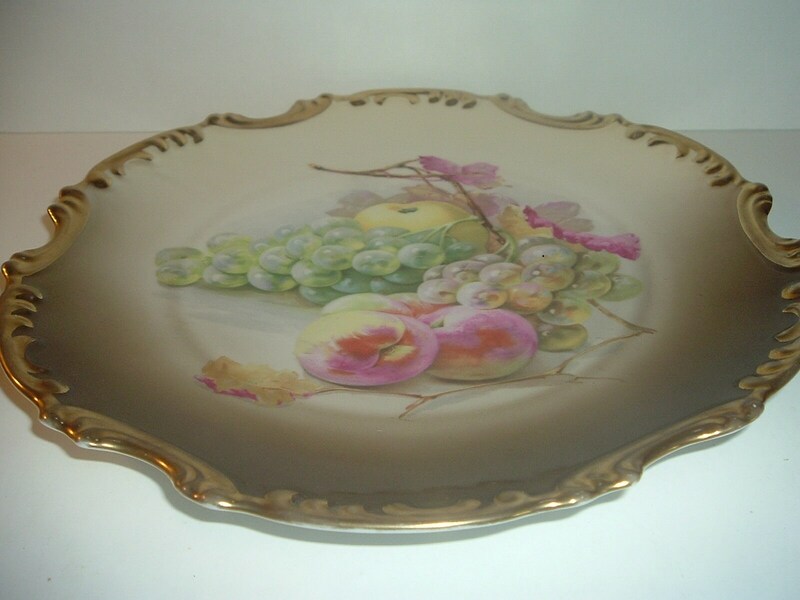 No scratching on this piece -- it looks like it was never used as a plate or platter. The gold is strong and in very good condition with barely any wear. The backside has hanging holes with a piece of old wire. 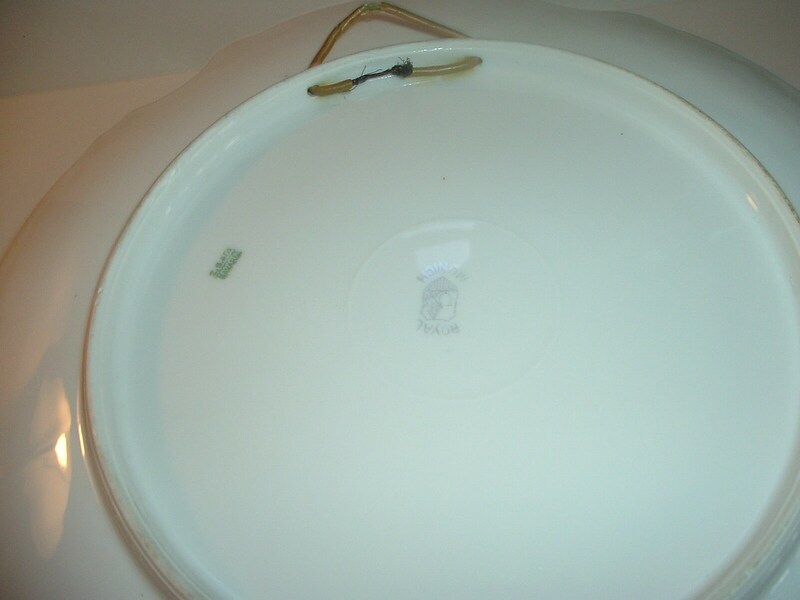 In the middle of the backside is a Royal Munich mark. Off to the side is a Z S & co Bavaria stamp. Pretty colors -- a nice piece! I gladly combine shipping.